It is possible to improve the economy AND protect the ocean at the same time. Abu Dhabi, UAE (March 7, 2019)—Government officials, ocean experts, and NGOs joined together to announce the creation of the Blue Prosperity Coalition, a network of global partners advancing sustainable oceans by balancing marine protection with economic development. 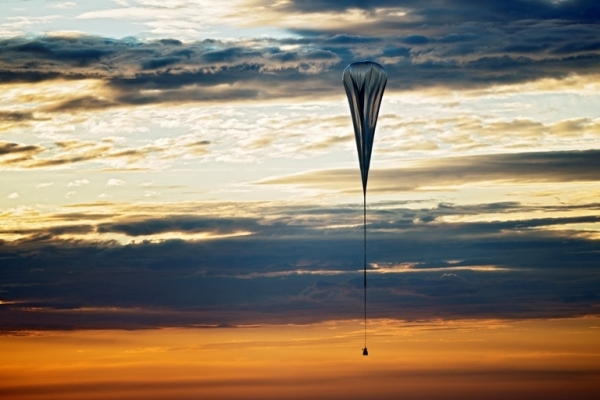 Founding members of the Coalition include the Waitt Institute, National Geographic Pristine Seas, Oceans 5 and Dynamic Planet, as well as government partnerships with the Azores, Barbuda, Curaçao, and the Kingdom of Tonga. The global ocean economy is estimated at $24 Trillion USD, yet ocean resources are declining rapidly worldwide – bombarded with human-imposed threats like overfishing, pollution and climate change. Scientific research shows that strongly protecting at least 30% of the world’s ocean will help maintain marine resources while maximizing yields and sustainable economic growth. In 2016, intergovernmental organization IUCN (International Union for Conservation of Nature) set a global target to protect “30% of each marine habitat” in “highly protected areas with no extractive activities” by 2030. “No one person, no one entity can save the oceans, but if we work together this is a problem we can fix,” said philanthropist Ted Waitt, founder of Waitt Institute. At least 30% OCEAN PROTECTION is required. Protection is best achieved via COMPREHENSIVE, science-based plans in consultation with key stakeholders. Working together with committed Government leadership, we can achieve SUSTAINABLE and PRODUCTIVE oceans. The depletion of the ocean resources is one of the biggest challenges of our generation. Over 70 countries have made commitments to protect portions of their ocean territories, yet less than 5% of the ocean is currently designated in no-take areas. Science shows that if we protect 30% of our oceans through Marine Protected Areas (MPAs) then nature can bounce back. Studies also show that conserving 30% of oceans will serve to both sustain economic interests and protect ecosystems. By providing expert resources to support comprehensive marine spatial planning and capacity building of local agencies, the founding members of the Blue Prosperity Coalition aim to turn marine commitments into action. The Coalition will offer financing and world-class planning, legal, advocacy, strategy, implementation and scientific expertise to countries interested in developing their Blue Economies. “By engaging teams of local and international experts, we work with governments to provide the tools and resources they need to ensure their oceans will thrive.” said Dr. Kathryn Mengerink J.D., Executive Director of the Waitt Institute. In February 2019 the Blue Prosperity Coalition joined the Blue Azores Program, established by a partnership between the Waitt Institute and the Oceano Azul Foundation in collaboration with the Regional Government of Azores. As part of the Blue Azores, the Azorean government has committed to designate an additional 150,000 square kilometers (15%) of its waters as new fully protected no-take areas, while creating a holistic ocean plan to sustainably improve ocean economies like fishing and tourism. This plan aims to preserve important feeding grounds for commercially important fish stocks, migratory routes for marine mammals, and deep-sea ecosystems like seamounts and hydrothermal vents. “Our ocean is at a critical tipping point. There is enough information to act now. We need to make effective ocean protection a reality in the next decade or it’ll be too late.” Said Dr. Emanuel Gonçalves, Member of the Board of Directors of Oceano Azul Foundation. 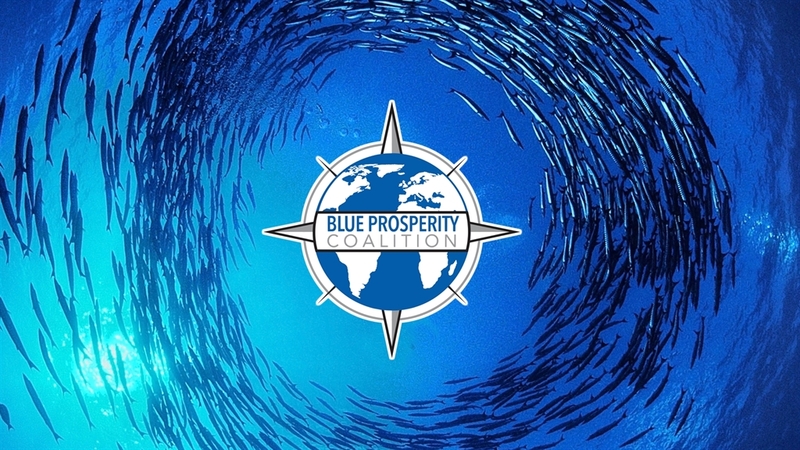 The new Blue Prosperity Coalition builds upon the concepts developed by the Waitt Institute to advance sustainable oceans through marine spatial planning, including programs in the Caribbean and Pacific. In 2014, Barbuda protected 33% of its waters as no-take marine protected areas. Partners also include Tonga and Curaçao, whose governments both have committed to protect at least 30% of their ocean areas. Already in progress is the Tonga national marine spatial planning effort that embodies the core values of the Blue Prosperity Coalition. The Tonga partnership demonstrates the strength and importance of community engagement to achieve these goals. In a planning process that focuses on 700,000 square kilometres of ocean with more than 140 islands, the Kingdom of Tonga has a robust consultation process involving every coastal community in the Kingdom. “Communities and oceans are intertwined. Ensuring communities are involved throughout ocean planning and management will help secure a healthy ocean future.” said Karen Stone, Executive Director of the Vava’u Environmental Protection Agency (VEPA), an implementing partner in Tonga.